During a break visiting relatives in Western NC I went outside and threw my end-fed antenna up into a tree and sat on the front porch swing and worked stations in Maine, Kansas and Cuba. The Elecraft KX3 is such a fabulously portable radio. It is very totable with sidekicks panels and cover, the only exposed part during transport is the BNC connector. I just make sure that's pointing "up" in the backpack. I didn't take the time to put the internal batteries back in the KX3 so I carried a small 3ah gel cell battery, good for hours of operation. My antenna is a 9:1 balun fed insulated wire. I get it up in the tree using a throwing weight and heavy line, then untie the weight, attach the wire and pull it up. The coax serves partly as a counterpoise, and I clip two more wires cut to different lengths for additional counterpoise. The North America QSO party was in full swing and I was looking for casual ragchews so I headed to 30m and heard a number of QSOs but signals were not strong. 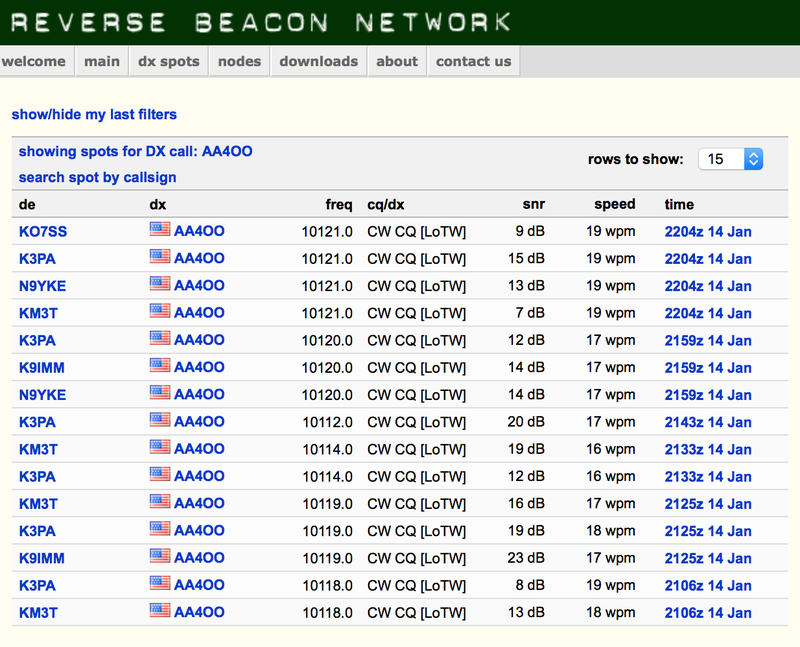 Checking RBN from my smartphone I saw that I wasn't getting very good reverse beacon reports. After sending my call out manually a few times I put the KX3's built in keyer memory to work sending out my call and eventually I received answers to my calls. I only had about 90 minutes to operate but I had a good time working a few stations and listening to other QSOs. Packing up the radio, key and pulling the wire down didn't take long. 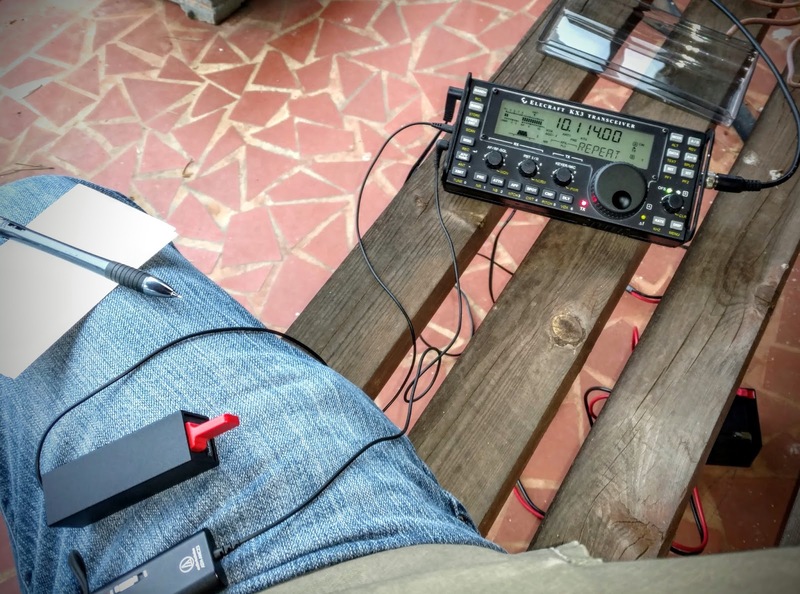 I'm still thrilled to have the Elecraft KX3 for such opportunities. Good evening Richard, great way to spend some spare time. I have done the same here when the time allows I just head outdoors and as you did throw the endfed into a tree and spin the VFO to see what happens.